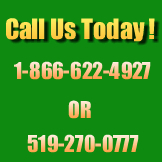 Southern Ontario’s Most Reliable Pest Control! 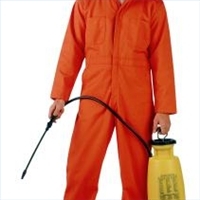 By using only the best and safest pest control products available, and state of the art application techniques, we ensure the Health and Safety of our customers, under the careful guidance of strict Health Canada guidelines. Do you find that you have pests invading your home or place of business? Pests are a nuisance and as more insects begin entering your dwelling, they can actually become a serious problem, even a health risk! EnviroTech Pest Control is a full service commercial,residential,industrial,rural,estate, food establishment ,farm pest control company servicing South Central Ontario with guaranteed results. We can custom tailor a program to suit your needs for home, farm, cottage, condominium or commercial and estate locations.We offer pest protection services for; Fly Control,Cluster flies,Carpenter Ant Control, Ants, Rodent Control, Mice ,Rats, Spider Control,Treat for spiders, Wood Roaches, Roaches, Flea Control, Moths, Pantry Pests, Earwig Control, Pine Seed Bugs ( Stink Bugs) , Bed Bug Control,Teat For Bed Bugs, Wasp Control, Insect Control and other Pest Services. There are a several Pest Control Programs that we offer. Regardless of which program you choose, you should consider them to be a wise investment in safeguarding both your family and your property. These pest control services are available for businesses, cottages, estates, farms, homes, marinas and many more. 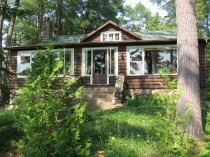 The Cottage Care Program will allow you to enjoy a pest-free summer. This pest control program is available in Parry Sound, Georgian Bay, Lake Simcoe, Muskoka, Lake of Bays and Huntsville. You will receive exterior and interior insect and rodent control to alleviate any problems that you may have in this regard. Specialists will also stop ants and other pests from entering your dwelling. Prevention Treatment can help avoid serious infestations and property damage from wood destroying insects and rodents. After all, an ounce of prevention is worth a pound of cure! The Urban Living Program will take control over the common every day pests in urban areas. It will control wasp activity around your home, prevent rodents from entering your home and stop the bed bugs from biting you. Our Integrated Pest Control Management Program is the most advanced pest management program that is available today. This service utilizes both corrective and preventative measures, which include inspection, monitored, and managed product use and record keeping. 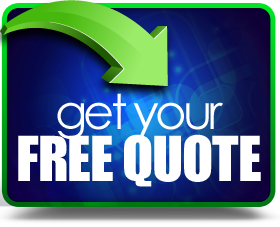 Essentially this program will be custom designed to meet your need, which really is the best way to resolve any pest problems you may have. 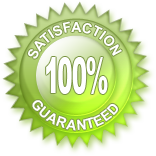 Our goal is to develop a comprehensive system to manage your pest population without only relying upon pesticides. For instance, we may seal off any harborage areas to control pests. However, we will use registered pesticides to treat infestations whenever necessary. Baiting, trapping and exclusion pest control techniques are also used to minimize the number of pesticide applications that you need. In order to maximize the effectiveness of the services that we provide you will need to use proper sanitation and reduce any other condition that is conducive to pest infestations. Of course, as with any partnership, your cooperation and participation are important.